The Call for Artists submissions is from December 18 to January 31. For more information or to submit work to the show, visit the MvVO ART site (www.mvvoart.com). The selection committee is made up of contemporary art experts and influential collectors. The inaugural AD ART SHOW 2018 was a phenomenal success, bringing the Art, Media and Advertising world together for a 4 day show at Sotheby’s with 92 artists from advertising from around the world. 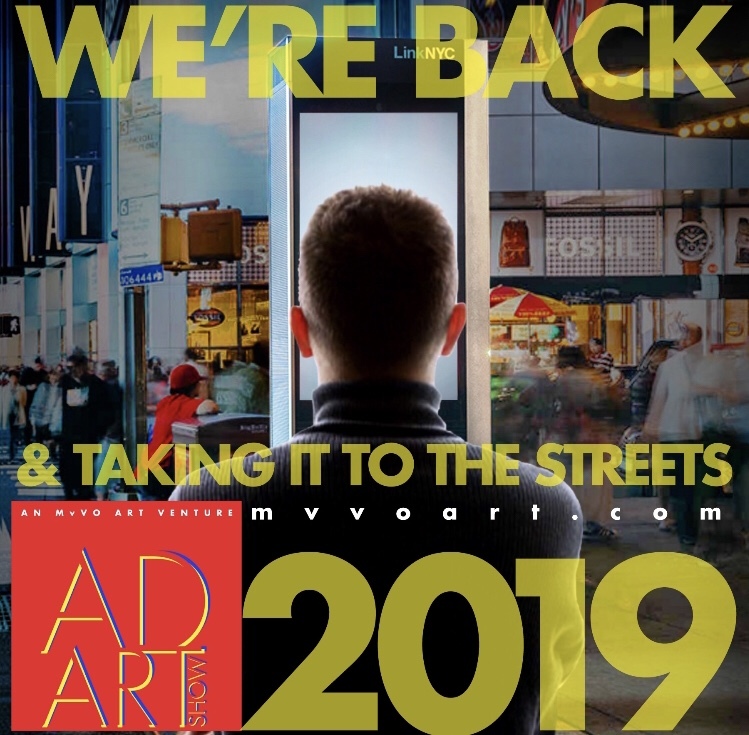 AD ART SHOW 2019 transforms the LinkNYC network into an outdoor art show during the biggest week of the City’s art calendar—Frieze New York. “The sky is the limit in this celebration of creativity!! We’re looking for new ways to bring Art to people and bringing AD ART SHOW to LinkNYC will change the way people see—and buy—art, catching people on the move, where they live and work. If they like what they see they can check out the MvVO ART e-gallery on Artsy where the works will be viewed by millions of collectors across the globe. This is the next step in the ever-changing contemporary art scene,” said Maria van Vlodrop, Founder and CEO of MvVO ART.